The AXIS P3367-V is a day and night fixed dome network camera that offers superb video performance. Based on Axis’ image processing technology and a very light-sensitive sensor, it provides outstanding light-sensitivity at 5 megapixelresolution. This camera benefits from both large area overview and low-light sensitivity. It delivers full frame rate HDTV 1080p (2592x1944) in compliance with the SMPTE 274M standard in resolution, color representation, 16:9 aspect ratio and frame rate.Multiple H.264 streams, as well as Motion JPEG streams, can be provided simultaneously. The camera also supports digital pan/tilt/zoom and multi-view streaming, where the full view and several areas cropped from the full view can be streamed simultaneously. The remote zoom and pixel counter features ensure that the camera’s angleof view is optimized for the area to be monitored and the required pixel resolution. AXIS P3367-V also features P-Iris, a new and revolutionary precise iris control system that provides optimal image quality in all lighting conditions. It provides images with better contrast, clarity, resolution and depth of field. Having good depthof field—where objects at different distances from the camera are in focus simultaneously—is important in the video monitoring of, for example, a long corridor or parking lot. It also features wide dynamic range and day/nightfunctionality enable clear images both in daylight and in dark lighting conditions. 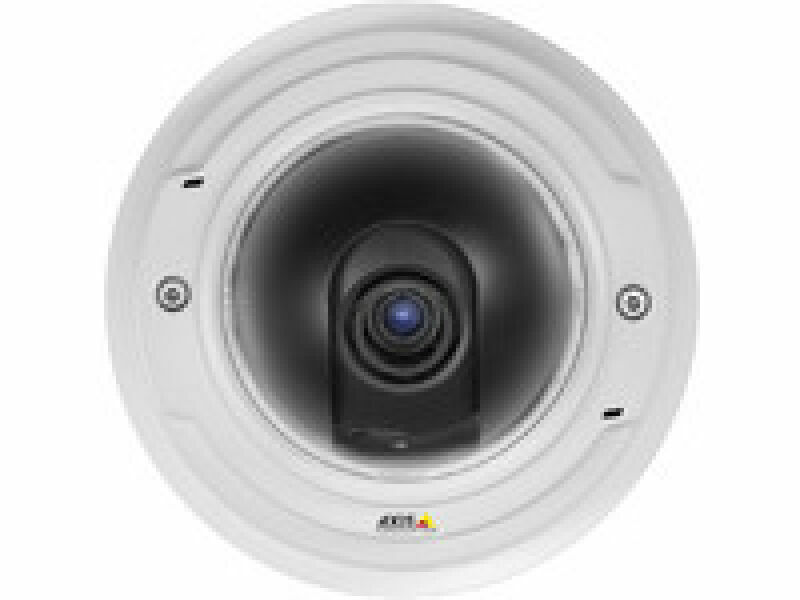 AXIS P3367-V with its vandal-resistant casing is a fixed dome specifically designed for indoor environments where discreet and compact solutions are required. It is the perfect solution for video surveillance in exposed areas such as airports,schools and prisons. Optical sensor size 1/3.2 "